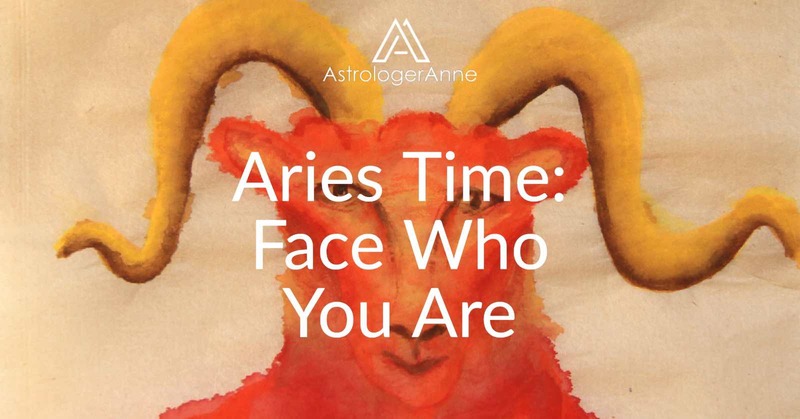 Aries time brings the time of year that’s good for learning about courage and decisiveness. The Sun leaves Pisces and enters Aries around March 21 each year. This shift brings not only the equinox and a new season (spring in the northern hemisphere and autumn in the southern) but a new astrological year. As a result, it offers us exciting and powerful opportunities for new beginnings—of all kinds and on all planes. 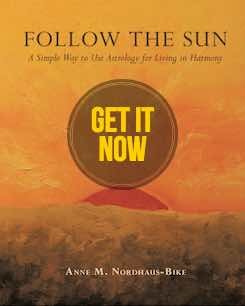 For thousands of years, astrologers have honored the Sun’s entry into Aries as a special, powerful time of year. As the first sign of the zodiac, Aries represents the start of a new astrological cycle and therefore a new year. When the Sun travels through Aries, it brings a bold, energetic, and decisive energy that asks us to exhibit bravery as we start something new. We move away from Pisces’s watery sensitivity to the Ram’s fiery sense of self, will to express energy, and desire to lead. Like the zodiac’s other cardinal signs—Cancer, Libra, and Capricorn—Aries inspires us to take action, often by initiating new projects. As with astrology’s other fire signs—Leo and Sagittarius—Aries insists that we feel our passion and find our courage so we can pioneer in some way and undergo some form of renewal. Aries is associated with aggression, risk, and competition. Handling these urges constructively means channeling them into worthy activities. For some, that might mean sports, while for others it might mean starting a new company or group or leading efforts to help society’s underdogs. For all of us, Aries brings renewed courage to think new thoughts, feel new feelings, and find new ways of doing things. It also brings a refreshing emphasis on the individual and the importance of discovering—and living—our true identity. Aries is ruled by Mars, a planet named for the ancient Roman god of war. Also known as “the red planet,” Mars takes its color from deposits of iron oxide on the planet’s surface; these facts remind us of Aries’s association with the color red and the metal iron. Aries also is linked with fire, a substance symbolizing passion and physical desire as well as inspiration and spiritual energy. In addition, Mars indicates the Ram’s association with masculine energy, warlike behavior, and a strong will; when harnessed for constructive ends, these qualities are essential to preserving our individuality and ensuring our protection. In nature, Aries is linked with hawthorns as well as sweet peas and honeysuckles. Most striking are daffodils, which carry an association with Aries both because of their vibrant color and because their peak blooming period coincides with the Aries time of year in the northern hemisphere. During each year’s Aries time, we feel powerful impulses to honor our individuality and discover our true identity. Each astrological sign is associated with a phrase, and for Aries that phrase is “I am.” This energy may be expressed negatively via selfishness, narcissism, or “me first” behavior. At its best, though, Aries inspires us to understand the inner spark, the piece of the Divine that lives within each of us. ￼Now is the time to seek your true identity, your spiritual self. You already have gifts of energy and courage that equip you to undertake this challenge. Along the way, you will face obstacles, especially inner ones in the form of personal imperfections and faults. If you will take up this task, you will come to understand why Aries’s ruler, the warlike Mars who takes us into life’s battles, becomes the wise and gentle knight at battle’s end. Tune in even more to the Aries zodiac sign with the Aries Meditation. As always, thank you for the guidance! You are so, so welcome!! You’re very welcome! Glad you’re here!